AdMerch stocks a full range of materials handling solutions, including pallet lifters, electric tugs, scissor lifters, wheelbarrows, and much more. It doesn’t matter if you need a solution for your home or your business – no matter how big or small the job is, we have the materials handling solution for you. If you need material handling equipment that you can trust, then read this! At AdMerch we have a full range of materials handling solutions, including various lifting equipment. 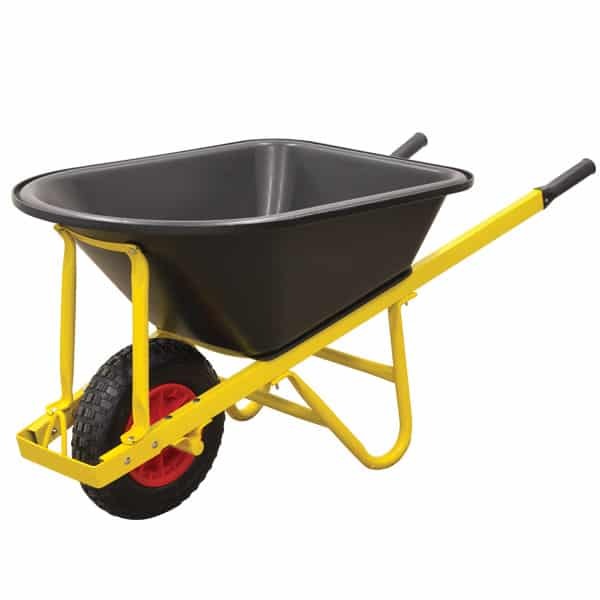 Whether you need a pallet jack or electric tug – even a wheelbarrow – we have what you need. And it doesn’t matter if you need a solution for your home or your business – no matter how big or small the job is, we have the materials handling solution for you. A great example is our range of pallet jacks and fork stackers, also known as pallet lifters. We are proud to stock these products that come from an Australian manufacturer with over 50 years of experience in the materials handling and lifting equipment industries. AdMerch also have a comprehensive range of scissor lifts. A scissor lift table is a type of hand trolley that can dramatically improve the physical health and safety of a person’s back when unloading and loading the trolley. It achieves this thanks to a hydraulically powered scissor mechanism that can raise or lower the platform table to suit the operator’s preferred working height. We even have a range of forklift attachments! These include a wheelie bin lifter, gas bottle storage cage, drum lifter, and a forklift safety cage which is compliant with Australian safety standards. Please check out our range of materials handling solutions today! And if you have any questions, do not hesitate to ask us.